PanelMate is the most successful Operator Interface product family ever produced. Developed by IDT in 1986 (now called the Eaton Operator Interface Group), 2012 is the 26th year in the evolution and enhancements of PanelMate equipment. More than 295,000 PanelMate Operator Interface systems have been installed in Automation Systems around the World. These systems are now produced and supported long term by an Eaton Partner. This means long time PanelMate customers will continue to have access to the latest PanelMate systems and Automation Interface continues to have them in our line up. Eaton has introduced their most powerful Operator Interface equipment they have ever produced; the new Windows based XV and XP with Visual Designer Software. Eaton is the company that manufactured all PanelMate equipment until July 2012. On July 2, 2012 Eaton announced that they had chosen a longtime partner, to provide PanelMate Power Pro and PanelMate ePro systems and support to it's PanelMate customers. Automation Interface is the PanelMate Operator Interface Upgrade and Software Technical Support Partner! Upgrades are the Largest Segment of our Business! 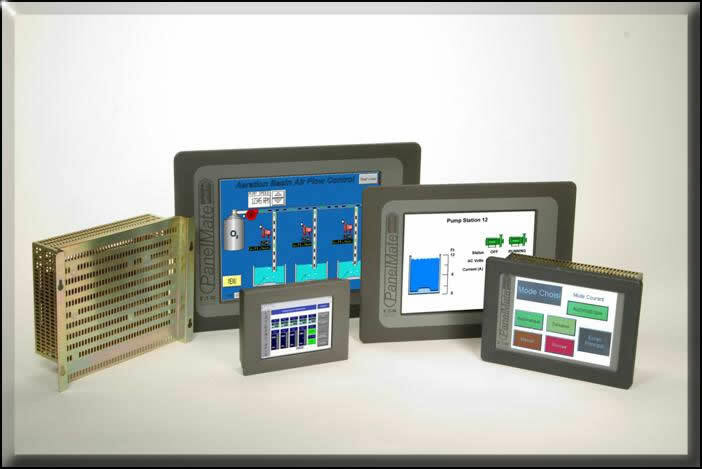 Many PanelMate interface systems are now obsolete and no longer available. This is due to a lack of availability of critical parts. The good news is that we can upgrade all brands and models of PanelMate Operator Interface Equipment and we can provide new Operator Interface systems that are drop in replacements for all earlier PanelMate systems! PanelMate Operator Interface and New Eaton Operator Interface Equipment is our ONLY Business! Eaton chose us because we know more about PanelMate equipment than any other company! We can provide repairs, refurbished, and/or new PanelMate upgrade systems for any PanelMate, PanelMate Plus, or other PanelMate branded system ever made. International orders Welcome. International orders are a major portion of our business, we regularly ship out of the United States to countries all over the world.